The value of your car, along with how safe it is to drive, can be affected by any previous damage; especially if the damage hasn't been repaired properly. 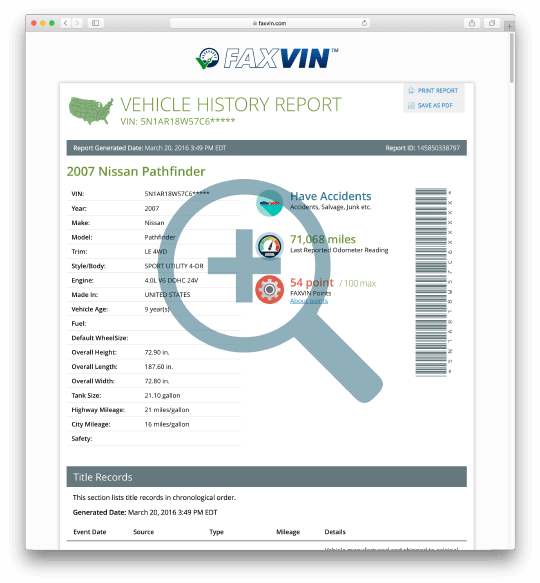 Find out the full damage and repair history of a vehicle through FAXVIN. Do you want to learn about the engine, transmission, or any other vital info about your car? Would you like to find out when and where the car was produced? It's easy! You only need to use our free, handy, and intuitive VIN Number Decoder. This service will help you check all the key data on the car or vehicle of your choice in a matter of seconds. 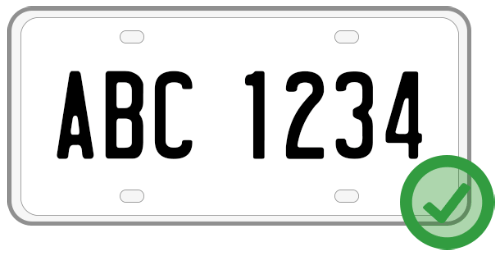 No need to visit your local DMV to get relevant license plate records. Our specially designed tool is just what you need! It will save you from unnecessary hassle and headache.